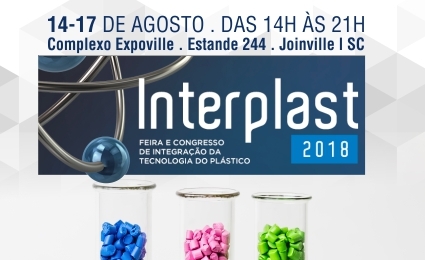 The Interplast Trade Fair is coming, and in it, the Cristal Master in addition to its complete line of colors for the most diverse types of resin, will present its products with effect as: fluorescent, pearls, wood, metallized, glitter, marbled, photochromic, thermochromic, plus its high performance blacks and much more! Among the additives for this fair, we will highlight solutions such as: Anticolapse, concentrated additives and antimicrobial. 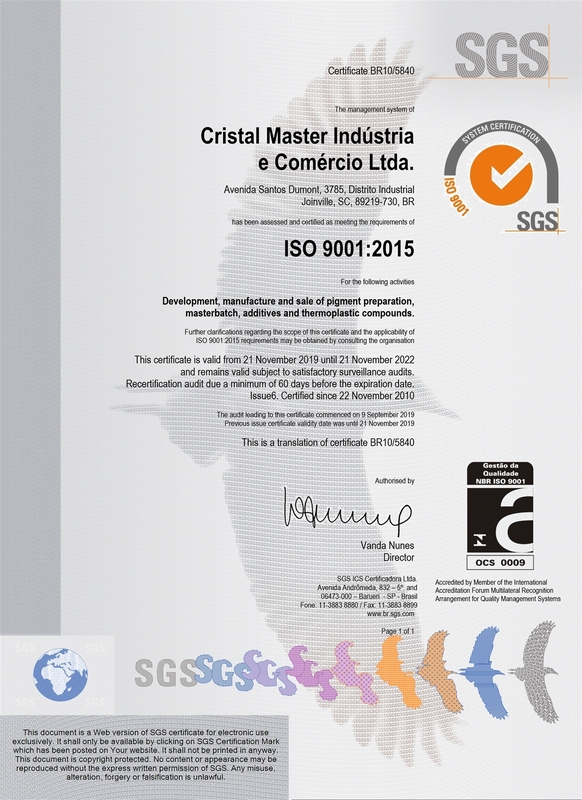 We will also present our complete line of additives such as adhesive, moisture absorber, blowing agent, blowing agent, interfacial agent, bleaching agents, softeners, anti-UV, anti-blocking, anti-collapsing, anti-slip, anti-slip, antistatic, antifungal, antifog, anti- antioxidant, flux aid, UV blocker, optical brightener, cross linking, sliding, release agent, light diffuser, drylink, essences, free contact, phosphorescent, phosphating, high flow, laser printing, cycle enhancer, transparency enhancer, flow modifier, impact modifier, PVC preparations, flame retardant, viscosity regulator for PET, roto blow, sealant and natural.